As a middle school teacher I consider it my job not only to teach my subject, but also to instill in every child that crosses my path, the belief that he or she can reach for their dreams. Often times I see kids letting their dreams go for their parent's dream. This is the story of "Game Changers". Eleven year old Ben McBain loves football. He is good. his dream is to be the quarterback. Unfortunately all anyone ever sees is his size. Shawn O'Brien was the quarter back and the coaches son. What happens when your dreams and desires clash with your fathers? Shawn doesn't want to be quarterback. He also doesn't want to let his father down. He finds himself stuck between a rock and a hard place. The conflict in this book is one kids play out every day. Sometimes it takes courage to stand up for your dreams. 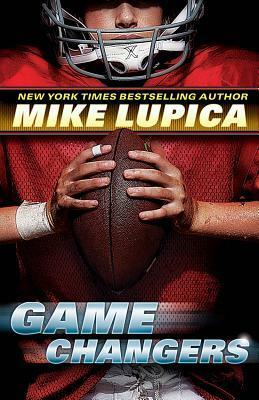 This is another wonderful book by Mike Lupica. I love having these on my shelves because of the lessons they offer my students. I don't usually read a lot of sports, but Mike Lupica's books are definitely an exception.